Standard Chartered (SC) Bank Korea, the Korean subsidiary of British banking giant Standard Chartered PLC, reported a 35.6 percent year-over-year fall in bottom line in the second quarter due to high loan loss provision. The company announced Thursday that its net profit in the second quarter ended June plunged 35.6 percent from the same period last year to 59.8 billion won ($53 million). For the January to June period, net profit fell 24.5 percent from a year earlier to 146.7 billion won. The poor earnings were caused by increased loan loss reserves for derivatives that offset income from commission fees and interests, the bank said. The return on assets (ROA), a key measure for a bank’s profitability, dropped 0.20 percentage point from the previous year to 0.45 percent in the first half, while the return on equity (ROE) fell 2.22 percentage points to 6.18 percent. Its non-performing loan (NPL) ratio edged down 0.13 percentage point to 0.50 percent. Delinquency rate remained unchanged at 0.30 percent. In a move to offset sales slowdown in Korea, SC Bank Korea hosted an investment and financial forum in April in Seoul and Busan for local small- and medium-sized firms that were interested in the Vietnamese, Indonesian and Indian markets. It also held Korea Day event in June in Hong Kong and Singapore to introduce Korean financial market and investment environment to overseas financial organizations and institutional investors. 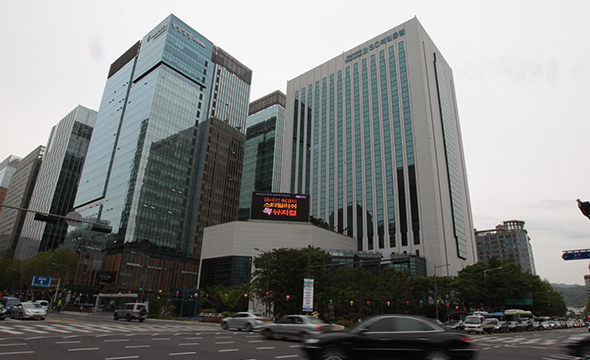 SC Bank Korea is one of SC Group’s global network encompassing 60 or more countries around the world.